The top priority for the chairmen of the House and Senate education committees for the remainder of the year is the implementation of the Every Student Succeeds Act (ESSA). Enacting the comprehensive bipartisan bill in December 2015 was a major accomplishment after several previous attempts had failed over the last eight years. Now the focus is on ensuring States implement the law as Congress intended, and the U.S. Department of Education clarifies that intent without going beyond the statutory requirements. The negotiated rulemaking process (described in detail in the March issue of LDA Legislative News) was set to conclude on April 18 and 19. However, going into the last session there appeared to be little consensus on anything except the issue of computer-adaptive testing. A strong exchange between Chairman Lamar Alexander (R-TN) and Secretary of Education John King occurred during an April 12 hearing on ESSA implementation held by the Senate Health, Education, Labor and Pensions (HELP) Committee. Alexander was particularly upset by the proposed regulations under consideration by the negotiated rulemaking panel on the topic of “supplement, not supplant,” a fiscal requirement ensuring that federal dollars are not used to supplant State and local funds for the implementation of ESSA. The Chairman accused the Secretary of altering the intent of Congress on this provision and warned that Congress would use every tool at its disposal to ensure the Department did not overreach in its interpretation of the law. Prior to the hearing, a coalition of key organizations – including, among others, the National Governors Association, the National Conference of State Legislatures, the Council of Chief State School Officers, the National Education Association, and the American Federation of Teachers –sent a letter to Secretary King focused on the supplement, not supplant issue. In that communication, the signers also stated the concern that the Department of Education not go beyond congressional intent in its regulations. The organizations noted the carefully crafted agreement in the statute and said the Department should not do anything in regulations that would change or modify the supplement, not supplant provision. If the negotiated rulemaking team does not reach consensus on supplement, not supplant and assessment, the other topic of negotiation, the Department will proceed to develop proposed regulations in the usual fashion. They also have announced they will issue proposed rules on accountability early this summer. The bottom line is that the education committees have put the Department on notice that they will be watching carefully how the regulatory process unfolds and will be vigilant in ensuring any proposals do not exceed the boundaries of the law. Title IV, Part A, of the Every Student Succeeds Act (ESSA) is a large block grant incorporating programs related to mental and physical health, physical education, the arts, computers and technology, foreign languages, advanced placement, and other “whole child” initiatives. The block grant subsumes a number of small competitive grant programs and was designed as a formula grant to ensure every State and school district would receive support for these important activities. However, before ESSA is even implemented, the funding level for Title IV is in question. ESSA includes an “authorization” level of $1.65 billion for Title IV, Part A. An authorization level in a statute indicates at what level Congress could fund certain provisions. However, the appropriations committees which determine specific funding for all federal programs and activities do not have to abide by that level. 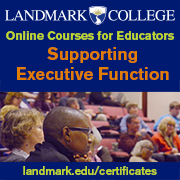 In fact, the authorization figure is often aspirational, such as the promise of 40 percent of the excess costs of educating students with disabilities found in the Individuals with Disabilities Education Act. When the president issued his proposed budget for Fiscal Year 2017 (School Year 2017-18) in February, he included only $500 million for the Title IV block grant. His budget also noted that, if Congress decided on the lower funding level, grants from States to local school districts should perhaps be competitive rather than through a formula to all districts. Congress once again faces a very tight budget, with the FY 2017 spending cap at essentially the same level as the current FY 2016 cap. Therefore, with competing priorities, the appropriations committees must decide whether to fund Title IV at a level that allows compliance with ESSA’s formula grant. A coalition of around 50 organizations representing all the activities under Title IV quickly emerged to lobby for the highest level of funding possible. ESSA requires school districts that receive at least $30,000 under the grant to do a needs assessment to help in decisions about how most effectively to utilize the funds. In addition, the law requires no school district receive less than $10,000 from the Title IV block grant. If funds are so low that all school districts cannot receive even the minimum grant, funds will be prorated so every district receives some small amount. Clearly even $30,000 is not enough to hire a staff person, and $10,000 is hardly sufficient to purchase program materials or engage a consultant. The coalition has met with many members of Congress and has the backing of Senate and House education chairmen and other committee members. Most members’ funding priorities include at least one program or activity under the Title IV block grant, so the call for sufficient funding is growing. The coalition will rally on Capitol Hill later this month with several members of Congress and practitioners to highlight the need for a whole child approach to ensure student success. 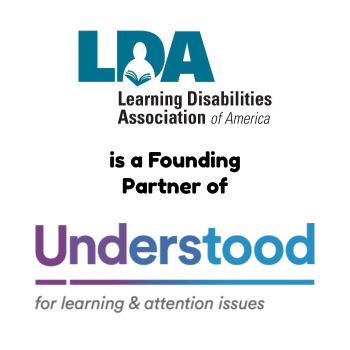 LDA supports the funding call for Title IV, as many students with specific learning disabilities benefit from the supports and activities funded through this program. Under the auspices of the Southeast Regional Educational Laboratory (REL) Literacy Alliance, a self-study guide has been developed for States and school districts to examine current practices, strengths, and challenges in addressing early literacy. The guide provides a template for data collection and guiding questions to improve implementation of early literacy interventions focused on increasing the number of students who meet grade-level expectations by third grade. The introductory section notes that the 15 percent of IDEA funds targeted to early intervening for at-risk students coupled with differentiated and smaller group instruction enable school districts to look strategically at how to improve results for students. The process outlined in the document is designed to be undertaken by a team of literacy professionals at the school, including teachers, reading specialists, administrators, and other appropriate staff and led by a knowledgeable facilitator. The self-study guide has several components: Scoring Guide, Implementation Consensus Rating Form, and Planning Next Steps Form. The Scoring Guide provides guiding questions to assist districts and schools in reviewing current implementation of interventions. Once the Scoring Guide is completed, a facilitated consensus rating process follows to reach agreement on the current status of implementation and what the next steps should be. Finally the team develops the top two or three priorities they will address going forward. 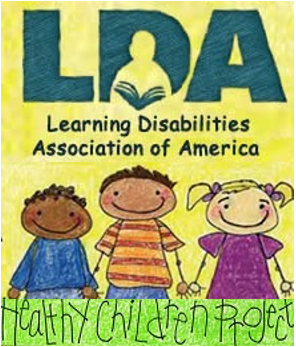 Increasing the level of literacy, particularly third grade reading proficiency, is a major goal for LDA. The Public Policy Committee has held numerous conversations at recent national conferences on this topic and views this is a critical issue for children with specific learning disabilities. This guide may be useful for practitioners who are working daily to address this issue. To view the guide and learn more about the work of the RELs, go to http://ies.ed.gov/ncee/edlabs/regions/southeast/pdf/REL_2016129.pdf.